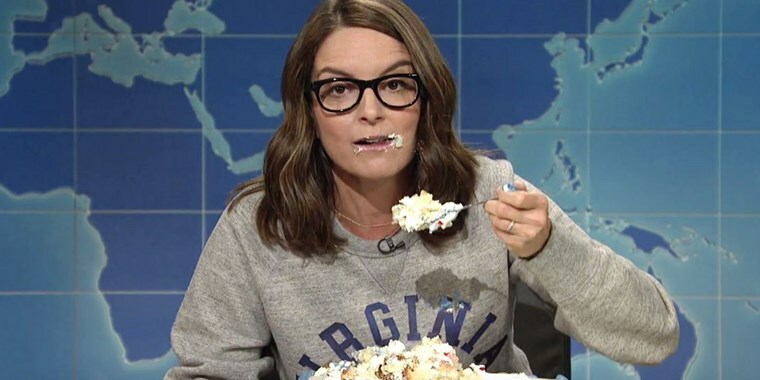 Tina Fey is available for exclusive private events, as well as major public speaking opportunities. To inquire about pricing and availability of Tina Fey, or to book Tina Fey for your event, Contact Jay Siegan Presents here. Tina Fey is an American actress, comedian, writer, and producer. She is best known for her work on the NBC sketch comedy series Saturday Night Live, and for creating the acclaimed comedy series 30 Rock (2006–2013) and Unbreakable Kimmy Schmidt. Tina Fey is also known for her work in film, with her most notable appearances including starring roles in Baby Mama, Date Night, Muppets Most Wanted, Sisters, and Whiskey Tango Foxtrot. Tina Fey has received nine Primetime Emmy Awards, three Golden Globe Awards, five Screen Actors Guild Awards, and seven Writers Guild of America Awards. In 2008, the Associated Press gave Fey the AP Entertainer of the Year award for her Sarah Palin impression on SNL. In 2010, Fey was awarded the Mark Twain Prize for American Humor, becoming the youngest-ever recipient of the award.